If you open /Applications/Utilities/Keychain Access, it will show you a list of stored entries. 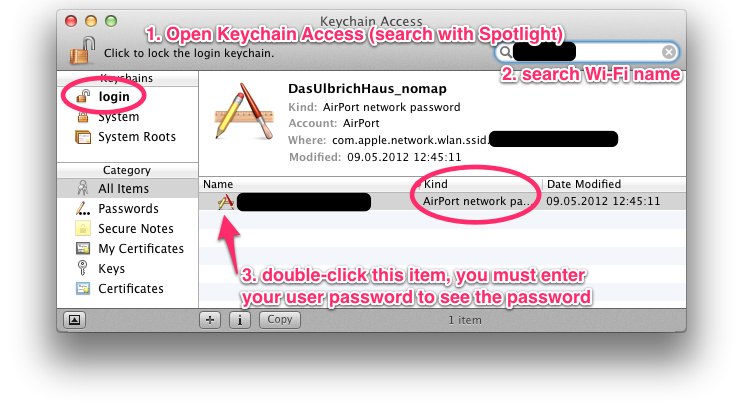 If you click the Kind column header, it will sort by kind, go to the section where AirPort network passwords are stored. On Yosemite, you may have to select "Local Items" rather than "login" under Keychains in the upper left. 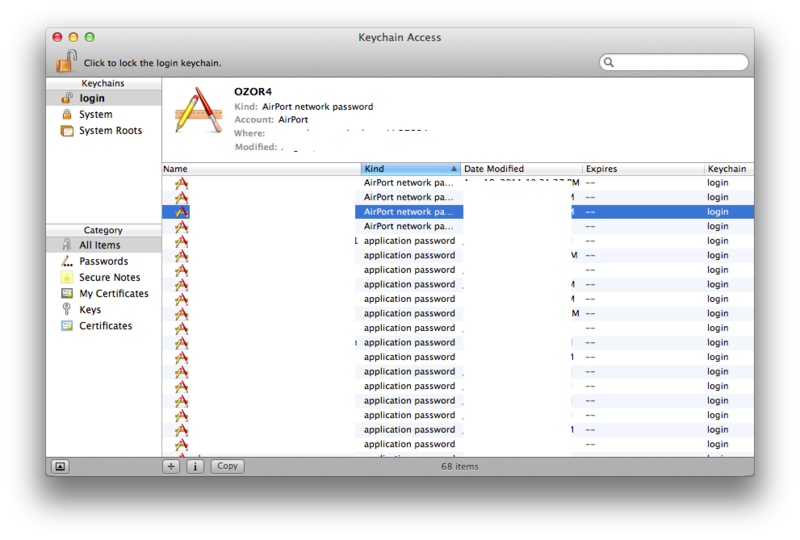 extract Apple ID's password from mavericks keychain? My MacBook Air is automatically connecting to a password protected network that's not mine! Is it possible to connect an iPhone to a WiFi network that you've previously connected your Mac to without having to enter the password on the phone?